Noura Asfouri, RM was born and raised in Morocco. From an early age, she was very interested in improving women’s health and well-being so she decided to study midwifery and graduated in 2015 with a State Midwife degree from the Institute of Training in Health Professions in Morocco. In 2016 she got married and moved to Canada where she joined the International Midwifery Pre-Registration Program at Ryerson University. After graduating from the program, she became a registered midwife in Ontario. Noura is committed to assisting women during one of the most important periods of their lives and helping them to have positive birth experiences. 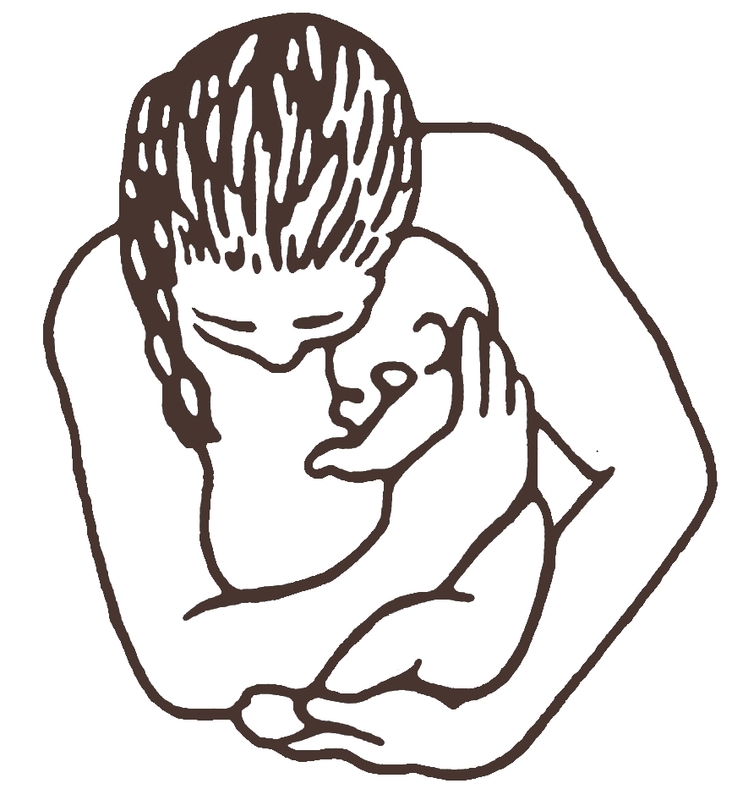 She also believes in Ontario midwifery principles of informed choice, continuity of care, and choice of birthplace. Noura can offer midwifery care in three languages, English, French and Arabic. She is also very happy to be a part of a wonderful team of midwives at Sages-Femmes Rouge Valley Midwives, and is looking forward to working with families in Scarborough and Durham Region. Cara Begg-Reid, RM was pleased to be join SRVM in the summer of 2013. She is a mother of 5 children, 4 sons and 1 daughter. They are the joy of her life, and the last 3 were born with midwives. These positive birth experiences ignited her desire to become a midwife and share this special relationship with others. Her previous education and work experience is diverse and ranges from being an Early Childhood Educator, a Personal Support Worker, and a University of Toronto graduate with a degree in Medical Anthropology. During this academic work she was privileged to work on a team of physical anthropologists researching virology in primates, working abroad in Singapore. After her time at UofT, she was accepted into Ryerson’s Midwifery Programme and completed the degree with honours. Her experience included working with Markham Stouffville Midwives and Uxbridge Community Midwives. She also lived in St. Johns Newfoundland for a while and worked at Planned Parenthood NL, promoting sexual health and working with teens that identified as Queer. Her hobbies include caving, hiking, equestrian riding, cooking/baking, crochet/sewing, traveling and humanitarian action, specifically tied into global health issues. She is very excited to meet you and thanks you for sharing your pregnancy and birth with her. Laura Keere, RM received her Honours BSc in Midwifery from McMaster University following her Infection Control Practitioner Designation and Honours Bachelor of Kinesiology. Her passion for women’s health, obstetrics, and pediatrics, coupled with her belief that childbirth is a natural, healthy process lead her to pursue a career in midwifery. Following graduation she began her midwifery career in the Halton Region and was thrilled to return home to Durham Region where she currently resides with her family. The exuberant feeling and honour of witnessing families grow is indescribable. She looks forward to sharing this incredible journey with you. Katrin Hassanzadeh, RM was born and raised in Iran’s Azerbaijan. English is her third language. She speaks Azerbaijani/Turkish, Farsi and English. She became interested in midwifery during her high school years because she came to realize that pregnancy is such a wonderful process. She decided she would be a midwife in order to learn everything about it in order to give pregnant women the timely and good care that is so important. Katrin thinks the moment of birth is both joyous and beautiful and the midwife is privileged to share this unique and intimate experience with the parents. She was so excited when she heard that she was accepted into the university because she had considered midwifery to be her dream job. After she finished her bachelor’s degree in midwifery in Iran, she started to practice midwifery. She now has more than eight years’ experience and has delivered many babies. She has also worked in remote and under-serviced areas and she is very proud to have had this opportunity. Katrin came to Canada with her husband and was accepted into the International Midwifery Pre-Registration Programme at Ryerson University. She feels that midwifery in Canada is a fantastic model of care which she enjoys very much. Claudette Leduc, RM is a registered midwife, a midwifery consumer, a supporter of women’s health and a Francophone woman. She is a practice partner and one of the founding members of Sages-Femmes Rouge Valley Midwives. She graduated from the Ryerson Midwifery Education Programme in 2004. She had an 11 year relationship with the Rouge Valley Health System as a registered nurse and has 25 years of experience as a health care provider in the hospital and community sectors. Claudette is an active member of the Francophone community in the greater Toronto area. Sages-Femmes Rouge Valley Midwives is strongly committed to offering French Language care to all clients who want it. Claudette also enjoys precepting students and mentoring new midwives. Tiffany Meier, RM has been working with birthing women for over 11 years – first as a doula, then a midwifery student and now as a registered midwife. She is strongly devoted to informed choice and client’s participating in their own health care decisions. She graduated with honours and on the Dean’s List from the Ryerson Midwifery Education Programme in 2008. She trained with Sage-Femmes Rouge Valley Midwives for her senior midwifery clinical placements and has been working as a registered midwife at our clinic since graduation. She also holds an Honours Bachelor of Science degree from the University of Guelph in biomedical sciences. Tiffany is excited to continuing to families from the Scarborough and Durham communities. Carolynn Prior, RM was born and raised in Scarborough. She has also lived in Toronto and Kingston. Carolynn attended York University in the Women’s Studies Programme before joining the Midwifery Education Programme in 1997. She is passionate about midwifery, breastfeeding, home birth and informed choice, and chose midwives for the birth of her three children. Carolynn has also been involved with union Local start-up, co-operative housing, crisis counselling, breastfeeding advocacy, LGBTTQ peer youth counselling, Food Share and food advocacy, and childbirth education. Her interests include camping, running, crafting, family travelling, and cooking food from around the world. Carolynn graduated from the Ryerson Midwifery Education Programme in 2003 on the Dean’s List, and completed her New Registrant Year with Community Midwives of Kingston. She is a partner in Sages-Femmes Rouge Valley Midwives. Ozra Pashmi, RM stood beside her grandmother and watched over her shoulder as she was catching babies (as a traditional midwife). She started her midwifery education in 1989, and graduated with a BS in midwifery from Ahwaz University in Iran in 1993. Soon after, she opened a clinic in a rural area where she served military forces’ families, and villagers with minimal medical access. Moving to the city as her son was growing, she chose to work in hospital as a nurse-midwife, in a family planning clinic, and in the immunization department. She then had the pleasure of travelling to Dubai and got a sense of midwifery practice there for a short time. Ozra immigrated to Canada in 2002, and after arrival in this country, she attended the International Midwifery Pre-Registration Programme at Ryerson and was certified in Ontario to practice as a registered midwife. She has been practicing since that time and she hopes if willing for many years to come. She is proud of providing loving care for parents and babies, providing service in English, Farsi (Persian) and Azabiojani (Turkish). Natasha (Tasha) Singh, RM was born and raised in Kitchener Waterloo. Since she was young, she always knew that she wanted to deliver babies someday. Tasha first went to the University of Waterloo and graduated in 2007 with a bachelors of science in Biomedical sciences. She graduated from the Midwifery Education Program at McMaster University in 2012. Tasha also had the opportunity to do a placement in Tanzania, Africa while in the midwifery program. This placement inspired Tasha to focus on providing care to those that are vulnerable. Tasha enjoys spending time with her young daughter and working on art projects. Melinda Soares, RM was raised in a small town in Northern Ontario. She finished her first “non-career orientated” university degree in the early 1990’s and subsequently worked a series of odd jobs, including tree-planting and researching stocks for a bank. She also worked as a government employee for 6 years before deciding she wasn’t meant to be in a desk job for the rest of her life, so changed her career path and applied to the Midwifery Education Programme at Ryerson. She graduated with honours and on the Dean’s List in 2006, and has been working as a registered midwife at Sages-Femmes Rouge Valley Midwives since graduation. Melinda has 2 daughters, one born in hospital, and one born at home in a birthing pool under the care of midwives. She is strongly committed to the underlying principles of midwifery care, and thrilled to be a part this rewarding and always interesting profession. She feels particularly honoured to have shared this journey with many families from a wide variety of backgrounds, and to have worked with the excellent midwives at Sages-Femmes Rouge Valley Midwives. Jasmin Tecson, RM has had the honour of working with birthing women for many years. After graduating with honours from the University of Toronto, she studied with the midwives at The Farm in Summertown, Tennessee and completed the Ryerson Midwifery Education Programme in 2007. She has had several careers, but to her midwifery is the most humbling, exciting, and satisfying. She is deeply committed to equity and diversity issues and strives to be an ally as well as care provider for all midwifery clients, regardless of their circumstances. She knows how valuable it is for a clients to have care in her first language, so she is happy to be able to provide midwifery care in Spanish and French if needed. Personally, her hobbies include reading, travelling, and art, especially Art Trading Cards. She aims to eat more vegetables, drink more water, and dance more often. Lisa Weston, RM is a lifelong resident of the practice catchment area, having been born and raised in Scarborough and becoming a resident of Pickering in 1986. Her strong community ties come from 11 years as founder/facilitator of Birthing Circle, a grassroots birth support group with a focus on VBAC, and from her work as a childbirth educator and doula. Her work in the field of midwifery began as a consumer and advocate in 1988 and she worked as a member of the Midwifery Task Force prior to and during regulation. She is well known in the local women’s health field, having been involved in the task force on implementation of the Healthy Babies/Healthy Children Program in Durham, as well as an employee of the program who worked in the community for over two years. Her contributions to this community include public speaking and activism around education for women’s choices. Lisa graduated with honours and on the Dean’s List from Ryerson Midwifery Education Programme in 2003 and completed her New Registrant year with Riverdale Community Midwives in Toronto. She is one of the founding members of Sages-Femmes Rouge Valley Midwives and served as the first Division Head of Midwifery at Rouge Valley Health System. She has served on the Board of Directors for The Association of Ontario Midwives (AOM) for the past nine years and is currently the President of the Board and an active member of the AOM Insurance and Risk Management Steering Committee. She has been an active clinical teacher, tutor and guest lecturer for the Ontario Midwifery Education Program, as well as a frequent preceptor, happy to have helped many student midwives fulfill their dreams of becoming registered midwives. Lisa and her partner are the proud parents of 4 grown children and numerous pets. In off-call time, they enjoy connecting with the kids, hiking with the dogs and cottaging.